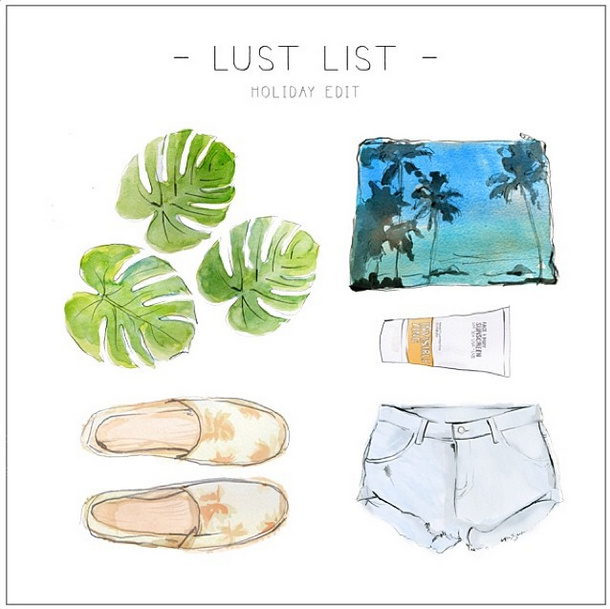 The Lust List "Summer Edit"
Continuing on a theme of Instagram accounts I love, from yesterday's post, today I'd like to feature an account that I recently stumbled across and fell head-over-heels in love with. One of my favourite things about Instagram is that it can make it connect with people who I wouldn't have gone out searching for. Take exhibit one; The Lust List. 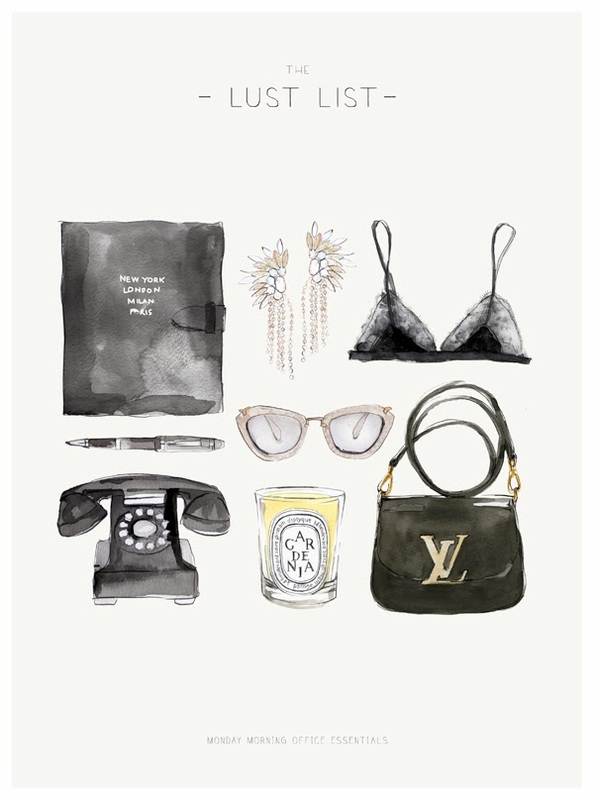 The Lust List "Monday Morning Office Essentials"
Sally Spratt is a graphic designer and illustrator, who's passion lies greatly in "fashion, graphics, typography and illustration". She works commercially and her portfolio is bursting at the seams with her many accolades. However, I became intrigued and introduced into her world by her latest personal project, that began as a "just for fun" venture. 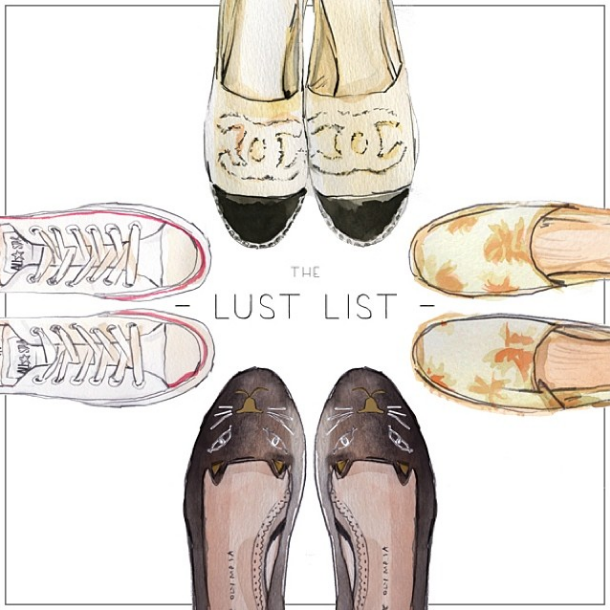 Simply titled The Lust List, it's tagline is "If I can't have them, I'll draw them". 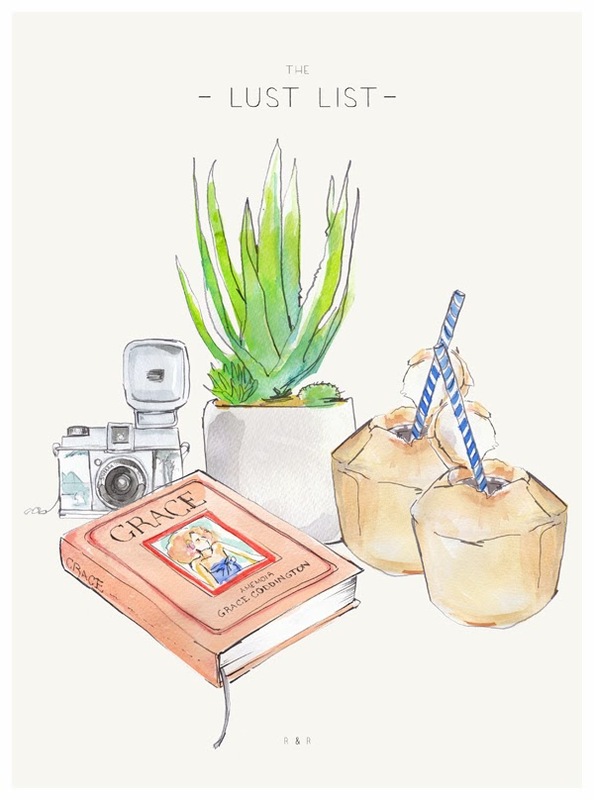 I love this twist on the standard lust list you see on many blogs and sites such as pinterest, as its so much more creative. 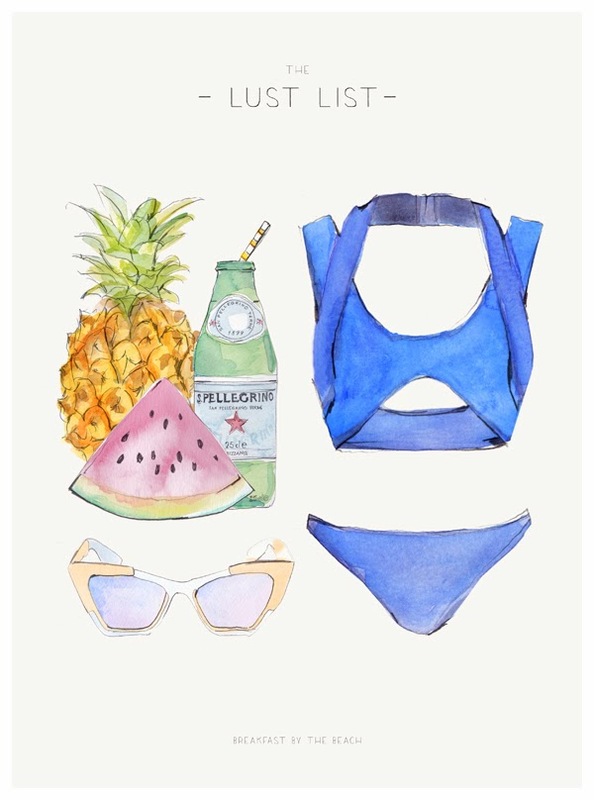 Sally draws 'essential sets' for all different types of scenarios, such as morning meetings, R&R and breakfast by the beach. I didn't even know I wanted these things for such scenarios, but after seeing Sally's interpretations of them I know I need them! 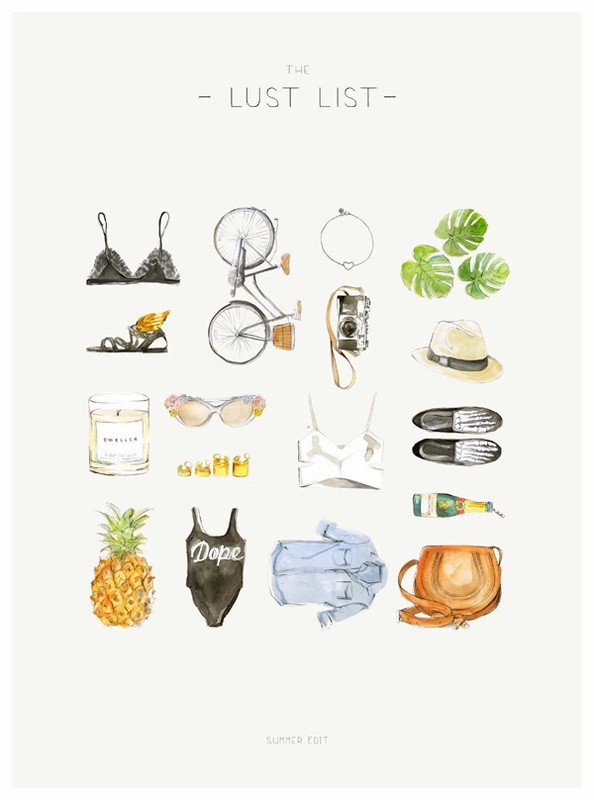 The Lust List "Breakfast by the Beach"
Luckily for us, Sally sells some of her beautiful artwork online at http://thelustlist.bigcartel.com. If you like what you see, I urge you to follow her Instagram account @_thelustlist_ for lovely updates that will make you green with envy and make your heart melt all in a big double tap of the screen.